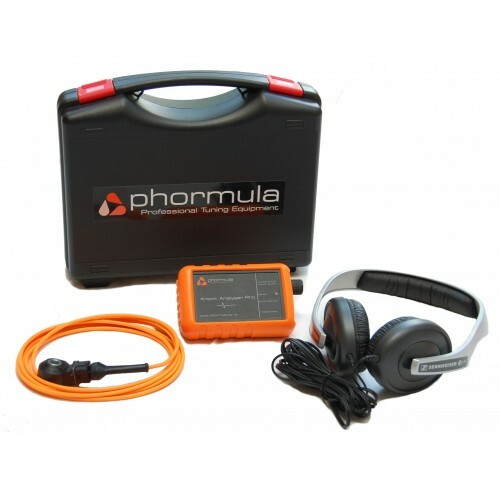 The Knock Analyser Pro (KS-Pro) is a high quality knock detection kit that allows the user to listen for knock whilst tuning an engine. The Knock Analyser Pro has been developed with the assistance of the UKs premier tuning companies and as such contains many features lacking from alternatives on the market. The kit contains everything necessary to listen for engine knock. 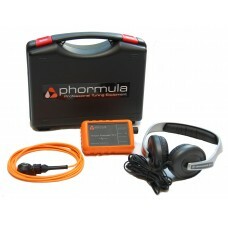 This kit can also be plugged directly into the KS-4 when purchased with the KS-4 Interface Kit. The high quality shielded Sensor Cable includes a Bosch Wideband Knock Sensor this provides excellent sound quality. The headphones are designed by a leading manufacturer in Hi-Fi equipment giving superb quality and comfort. The "Closed" design reduces background noise and provides crystal clear sound.